”Long long time ago, people prayed for health and safety of their family by decorating the front door with a plant called a sweet flag on 5th of May. People believed that it has power to protect them from bad things happened. 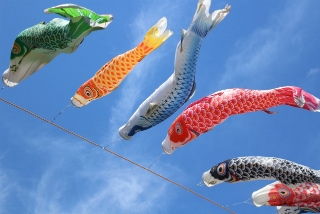 ”We generally celebrate May 5 as "Children's day", which is one of Japanese national holidays. The another name of "Children's day" is "Boy's festival".